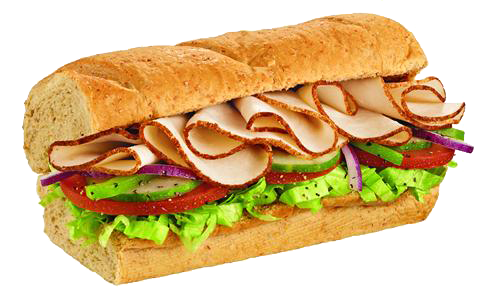 Subway Sandwich Franchise For Sale in the Albuquerque, New Mexico region for $145,000! Established franchise opportunity, currently grossing an estimated $378,820 and nets $50,005. Income based on an owner/operator role. This restaurant is located in a large shopping plaza with neighboring retail stores, restaurants and offices. Includes all restaurant equipment with an estimated value of $80,000. New owner will need to be approved by the franchisor. Some financing available for buyers who qualify for a revolving credit line through our third party source. Apply Here. Just announced: Starting January 2019, Subway is now offering its “Fresh Now” program (a restaurant refresh package) at no cost to franchise owners. This is not a restaurant remodel, instead its a marketing and merchandising refresh program that lays the groundwork for all of the great things coming soon – such as menu innovation and restaurant remodels. Subway continues to reinvent itself based on evaluation of its competition and changing economic times. Because of this constant evolution, Subway continues to be the largest restaurant franchise in the world! The current gross revenue being generated is estimated at $378,820. There is no seller financing. This business may qualify for a business or SBA loan. However, if financing is needed for startup cost you can review additional Financing Options Here. Expenses will vary for each restaurant owner depending on the type of restaurant, number of employees, and location. Current expenses for this owner include: royalties, payroll, payroll taxes, workers compensation, advertising, supplies, food, utilities, property rental fees, permits and licenses, phone, and liability insurance. Expenses are estimated to be $328,815 per year (Note: Expenses represent a cash purchase and do not account for finance payments if requiring a loan to purchase). The property is leased by Subway and new owner would be a sub lessee. Located in the Albuquerque, New Mexico region. Physical addresses will be released to qualified buyers upon execution of an NDA. Current list of equipment includes: back refrigerated counters, sandwich unit, microwaves (commercial grade), toaster oven, cooler, freezer, baking oven, proofer, bread trays, liners, veggies cutter, tomato cutter, thermometer, bread template, soda fountain, ice machine, POS system, camera security system and furniture. Estimated value is $80,000. What size is the restaurant? This restaurant is 1,600 sq.ft. Does the restaurant currently have a beer or liquor license? How does the selling price of Subway get determined? Subway valuations are determined by using two different methods. First and foremost, Subway franchisees prefer to use a ratio of 30:1-40:1 of the gross weekly store sales based on a trending 40-week average. It’s important to recognize that many third-party lenders also recognize this higher value. Buyers and Sellers may also use a standard valuation method such as a 3-4 multiple of EBITA based on fair market comparable sales, location, gross volume, age of the store, income, and variable other factors. However, typically the weekly sales average approached is preferred and used to determine the selling price. Yes! To date Subway is the largest franchise in the world! Currently they are in the process of remodeling and advancing the business model which in turn is creating opportunities for existing and new franchise owners. In fact, CBS recently did a segment with Subway’s CEO about the company’s plans for the future. View The Video Here! There is no drive-thru or delivery service but a catering service is offered. Seller has owned this restaurant for 6 years. Owner is pursuing another business opportunity. This restaurant is operated from 8.30am – 9pm Monday – Sunday. Established franchise opportunity. Turnkey and move in ready. Includes the cost of all equipment. Plenty of opportunity to increase revenue. Subway has a great reputation and brand recognition. Priced at $145,000. For additional information and to evaluate this business further Contact Us About This Restaurant Here!